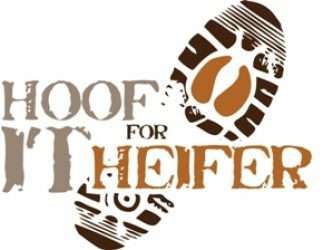 The “Hoof it for Heifer” trail run is organized by the Central Arkansas Volunteer Group based in Conway, AR. The proceeds will go to Heifer International. We welcome any inquiries you may have about the race, our group, volunteering or Heifer International. 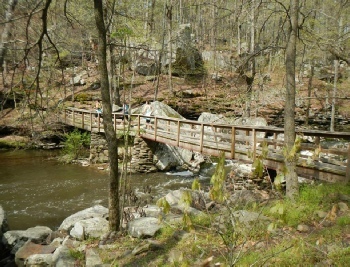 Please feel free to contact us at info@heifertrailrun.com. Heifer International is a non-profit, humanitarian organization dedicated to ending hunger and poverty and caring for the Earth. Since 1944, Heifer has pursued its mission by providing livestock and training in environmentally sound agriculture to those with genuine need. Recipients also agree to Pass on the Gift of one or more of their animal’s offspring and training to others in need, creating an ever-widening circle of hope. Please visit Heifer.org for more information about the work of Heifer International. The proceeds of this race will go to Heifer International’s initiative in our home state of Arkansas. Heifer USA is a domestic program that empowers local food and farm entrepreneurs throughout the state. From the Heifer website: “Our farmers are improving local economies, increasing local food production, feeding schools and families and igniting change throughout entire communities. And like every Heifer project, the work in Arkansas is driven by local need, local farmers, local innovation and local leadership.” Read more about the project here.